Wynstream is the top winning Labrador Retriever Speciality Show Kennels in Tasmania, we are located in the north of our beautiful state Tasmania. Wynstream Labradors have excelled themselves being constant winners at Breed Speciality and Royal Shows in Victoria, South Australia and NSW. It is the home of "Flynn" Multi BISS and Multi BOB Royal Show Ch.Wynstream Royal Stewart. I have been breeding and showing Labrador Retrievers for over 30yrs. At Wynstream we aim to breed quality puppies for pet, show or trial with true Labrador temperament. The climate here in Tasmania is moderate and most enjoyable, so my dogs always have beautiful coats. At Wynstream no expense is spared in providing my Labradors with the best Veterinary care and diet. 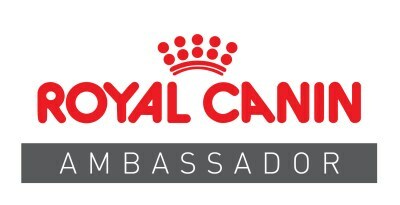 To this end the Royal Canin Range is recommended and used exclusive with our dogs. I only keep a small number of dogs and only breed a litter when I want to keep something for myself, therefore only have 1 or 2 litters a year. All puppies are raised in a family environment and are well socialised. Frequently my dogs visit the Nursing Home where I work and they enjoy the company of the residents and this enjoyment is reciprocated. All breeding stock hold certificates for hereditary defects. All pet puppies sold are placed on the Limited Register with the Tasmanian Canine Association Inc. I occasionally have older dogs wanting forever homes. I am a member of the Tasmania Canine Association Inc. the Labrador Retriever Club of Victoria, Labrador Retriever Club of South Australia, Gundog Club of Victoria. We attend most Labrador Retriever Speciality Shows, Labrador Retriever Nationals and group speciality shows. My dogs also attend Royal Shows and All Breed Shows in Tasmania, Victoria and NSW.